There are a lot of incredible antique stores in the Casper area and beyond. These places are packed with potential treasures for your home. Some of the most special items you’ll find are upholstered items like chairs, sofas, and benches. Many people assume when they purchase an antique upholstered piece that they’ll need to have the upholstery redone. That’s certainly an option; reupholstering a piece can give it new life and give it a more modern feel. However, it’s not always a necessity. Many older items have upholstery that’s still intact and may simply need a little TLC to restore its appearance. Doing this could actually help your antique piece retain its value! Many collectors prefer to purchase a piece that’s in as-close-to-original condition as possible, including have the original upholstery. Granted, this won’t be a piece that you’ll want to sit in your family room and use on a daily basis. Restricting the use of these incredible pieces can help prevent the deterioration of the upholstery from going any further and make it a more special, valuable showpiece in your home. 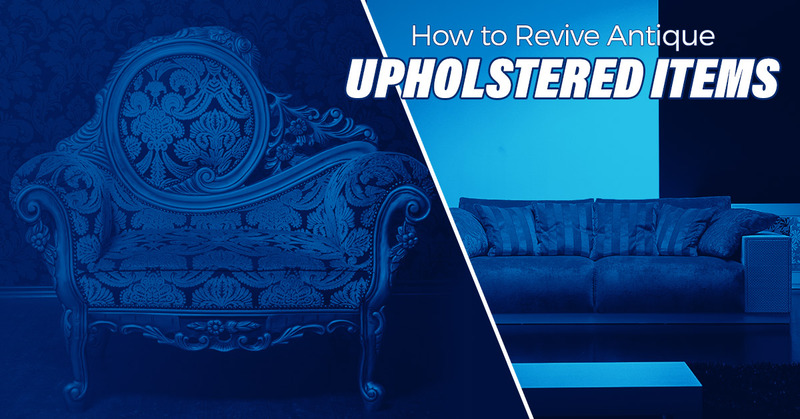 The key, then, is to carefully restore the original upholstery as much as possible. Our upholstery cleaning team in Casper has some tips you can try at home. Most antiques are going to have some staining on the upholstery. It just comes with the territory. Before you attempt to clean the upholstery yourself, make sure that you test your cleaner on an inconspicuous spot of the upholstery to make sure it is fabric safe. Gentle cleaners are the way to go here. Spray a small amount of cleaner onto the stain and then blot out with a clean, white cloth. Rinse the spot with cool, clear water and blot again, making sure to remove as much moisture from the fabric as possible. Repeat until the stain is gone. One of the most common problems with antique upholstered items is that the seating area is weak. It might be broken or damaged springs in the seating or the structure of the pieces have simply deteriorated over time. You can reinforce the seating area with a piece of plywood underneath. Some restoration experts recommend drilling holes into the plywood so that the padding can breathe as people sit down on the piece. Even with great reinforcement, though, you shouldn’t attempt to use an antique piece for everyday use without expecting the upholstery to wear out quickly. No stuffing lasts forever. Antique pieces often need to be restuffed in order to get back their original shape and comfort. You can do this yourself or contact an upholstery professional to help you if you are concerned about maintaining the integrity of the piece. Beware that restuffing furniture yourself can be more difficult that you originally expect; many pieces have to be completely disassembled in order to be restuffed, and putting them back together might necessitate a full reupholstery. Only restuff when it’s absolutely necessary. If you want to make your newly acquired antique piece look even better, talk to a professional upholstery cleaning company like AA Super Klean. 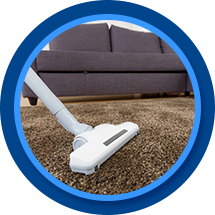 They’ll be able to tell you whether the upholstery is in good enough condition to be cleaned professionally or if you are better off having the piece redone. If professional cleaning is a possibility, they’ll use the gentlest cleaners and cleaning methods possible to restore your furniture. Removing the decades of dirt and grime from an upholstered piece can make it look like almost new again! Have a piece that you need stores? Get in touch with our upholstery cleaning team in Casper today for more information!